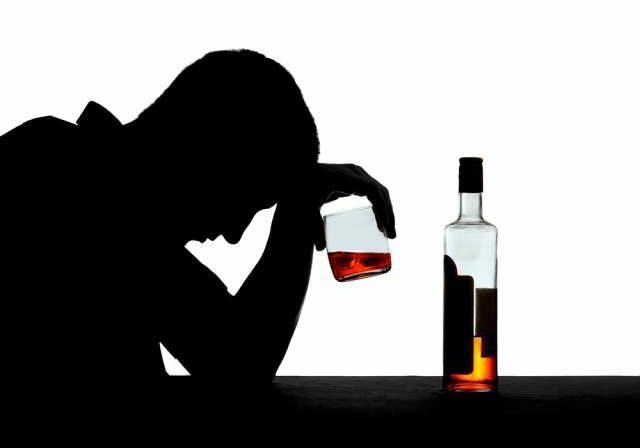 Effects of Alcoholism on Families: Many people call alcoholism a family disease. Alcohol addiction does tend to run in families, but that’s not why it’s called a family disease. It has that reputation because one person’s addiction to alcohol affects the entire family. Alcoholism causes physical and emotional health problems. 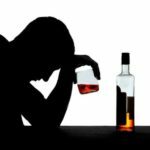 The person with alcohol addiction experiences the brunt of the physical problems, but people who are close to them often share the emotional side effects of the person’s addiction. Family members of alcoholics can experience anxiety, depression and shame related to their loved one’s addiction. Family members may also be the victims of emotional or physical outbursts. A person addicted to alcohol may try to shield their family from the impact of alcohol abuse by distancing themselves. Unfortunately, isolation does little to protect family members from the financial and emotional side effects of alcoholism. Neglect can also have a negative impact on loved ones. Alcohol abuse has the potential to destroy families. Research shows that families affected by alcoholism are more likely to have low levels of emotional bonding, expressiveness and independence. Couples that include at least one alcoholic have more negative interactions than couples that aren’t affected by alcoholism, according to research from the University at Buffalo Research Institute on Addictions. Relationships are built on trust, but many alcoholics lie or blame others for their problems. They’re often in denial about their disease so they minimize how much they drink or the problems that drinking causes. This deterioration of trust damages relationships and makes family members resent one another. Substance abuse, including alcohol abuse, is one of the leading reasons couples seek counselling, according to the Research Institute on Addictions. Alcohol problems are also associated with lower marital satisfaction and it’s one of the top reasons for divorce in the United States. When both spouses have problems with alcohol, they’re less likely to divorce than when one spouse drinks more heavily than the other. Alcohol addiction can make parents impulsive and unstable. Their parenting skills diminish as the disease progresses. Alcoholics tend to interact with children in inconsistent ways, sending mixed signals to children, according to a 2009 study published in the Industrial Psychiatry Journal. One example of mixed signals may pertain to acceptable alcohol use, increasing the risk of underage drinking. Children of alcoholic parents tend to have more academic problems than children without alcoholic parents. Divorce and parental anxiety stemming from alcoholism in the family may hamper a child’s emotional functioning and lead to psychological disorders. Adult children of alcoholics may be impulsive, have trouble forming intimate relationships or be more dishonest than they need to be. Addiction is an expensive disease. Depending on the type of alcohol a person drinks and how much they drink, a person addicted to alcohol may spend between $300 and $1,000 on alcohol each month. That can be a major drain on a family budget. Other financial problems may be the indirect result of alcoholism. An arrest for driving under the influence can cost thousands of dollars in fines, court fees and car insurance increases. A car accident can make a person incur tens of thousands of dollars in health care or vehicle replacement costs. The biggest hit to a family budget may occur when an alcoholic loses their job because of their disease. Even a temporary loss of income can have a devastating impact on a family. Alcoholism can inflame relationship stressors, such as financial difficulties and child care issues. All of these factors can lead to emotionally abusive communication. In addition to emotional abuse, drinking problems are associated with intimate partner violence. Some studies suggest that alcohol makes the frequency and severity of domestic violence worse, according to the World Health Organization. It’s unclear if alcohol abuse is a cause of domestic violence or a risk factor. However, it’s clear that alcohol disrupts critical thinking skills and reduces self-control. These side effects inhibit healthy and constructive communication that can be used to resolve conflict. Problems caused by alcoholism don’t resolve themselves, and solutions to family problems usually require buy-in from all family members. Most of the time, family counselling is required to help families recognize the causes of problems and develop healthy solutions to resolve them. The primary solution usually involves the person with the alcohol use disorder seeking treatment. It can be difficult to convince alcoholics to seek help. However, numerous resources are available for people seeking help for alcoholism and for family members affected by alcoholism. Whether your loved one goes to alcohol rehab or they attend support group meetings, family members can support alcoholics while they’re trying to recover from alcohol addiction. Help from friends and family is a major component of recovery from alcoholism. Sometimes the person with the alcohol addiction refuses to seek treatment. For example, families of a high-functioning alcoholic may be unable to convince their loved one to seek treatment because the person hasn’t experienced obvious consequences of their addiction yet. Family members shouldn’t give up and do nothing. There are several ways of dealing with an alcoholic. Support groups or counselling can benefit family members affected by someone else’s alcohol abuse. Alcohol abuse and alcoholism can have devastating impacts on families. Spouses of people with alcohol problems may be at an increased risk for emotional or physical abuse. Children of alcoholics may be at risk for academic and psychiatric problems. Therapy and counselling can aid families affected by alcohol abuse issues. This article, written by Chris Elkins, originally appeared on www.drugrehab.com and is published here with permission.